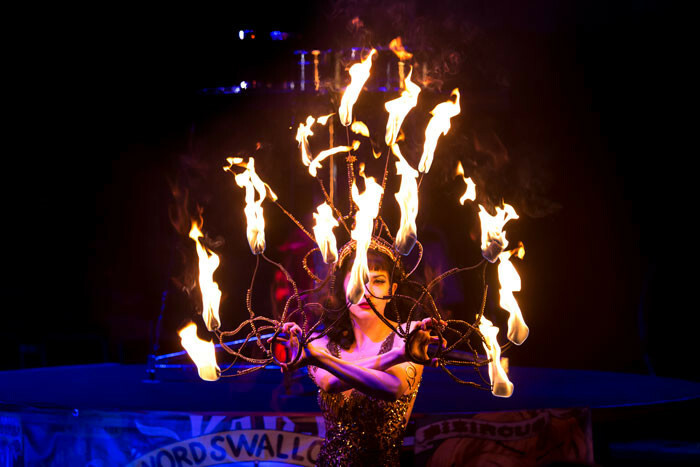 Inspired by Frederico Fellini, Wim Wenders and Tim Burton, the thrilling stage show Cirque Infernal offers non-stop captivating entertainment with astonishing and death defying acts. 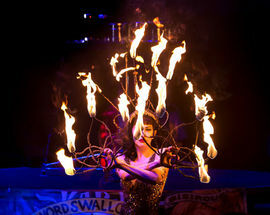 The breathtaking Cirque Infernal show stars some of the world’s top circus performers including trapeze artists Celeste Bliss (USA) and François Colarusso (France/Canada), 23 year old tightrope walker Wilson Stey who comes from a family of tightrope walkers who have been performing the stunt for centuries, professional Sufi dancer Aurelia Baque and FMX bikers Bruno Alliot and Stephane Bucheton who will be riding the famous 'wall of death'. 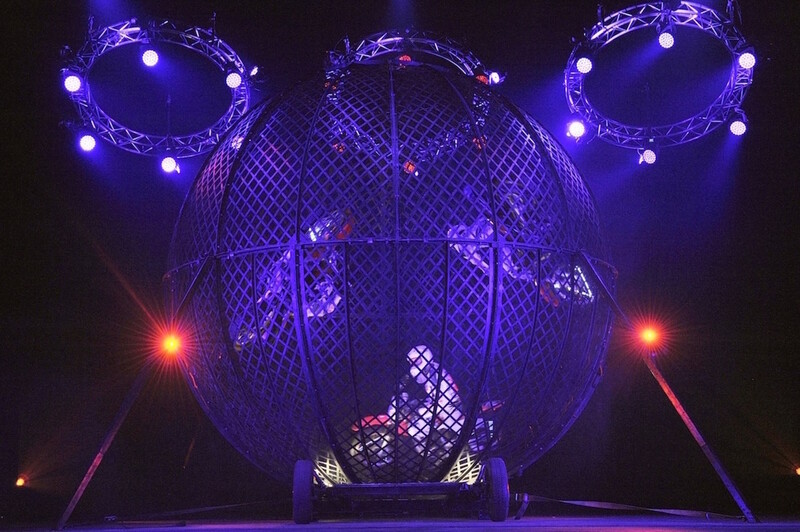 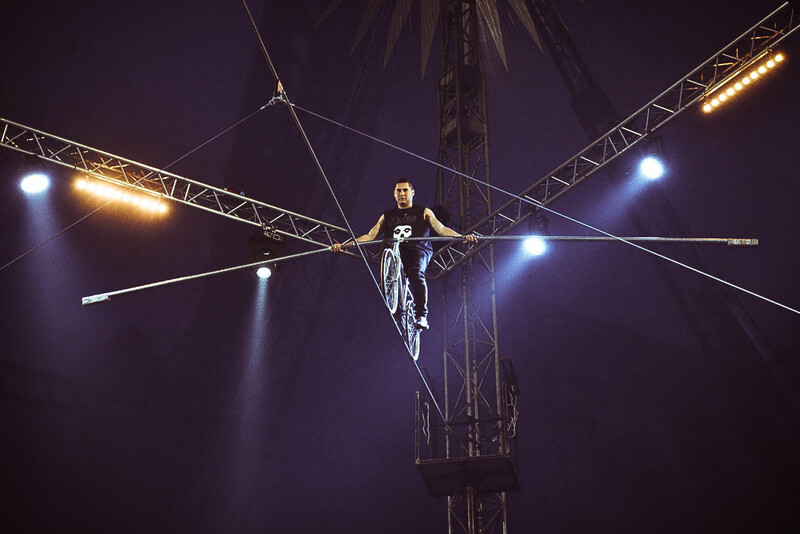 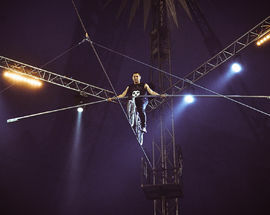 The show also includes a thrilling knife throwing act, fire performers, a Strong Men act and incredible contortionist tricks by former Cirque Du Soleil performer Irina Naumenko. 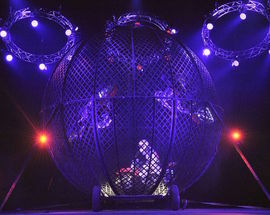 Performances on Thu and Fri at 20:00, Sat at 15:00 and 20:00, Sun at 15:00 only.